Felt flag is also called felt banner. It is a good choice for party decoration. There are various sizes and printing avaialable to suit different kinds of party. 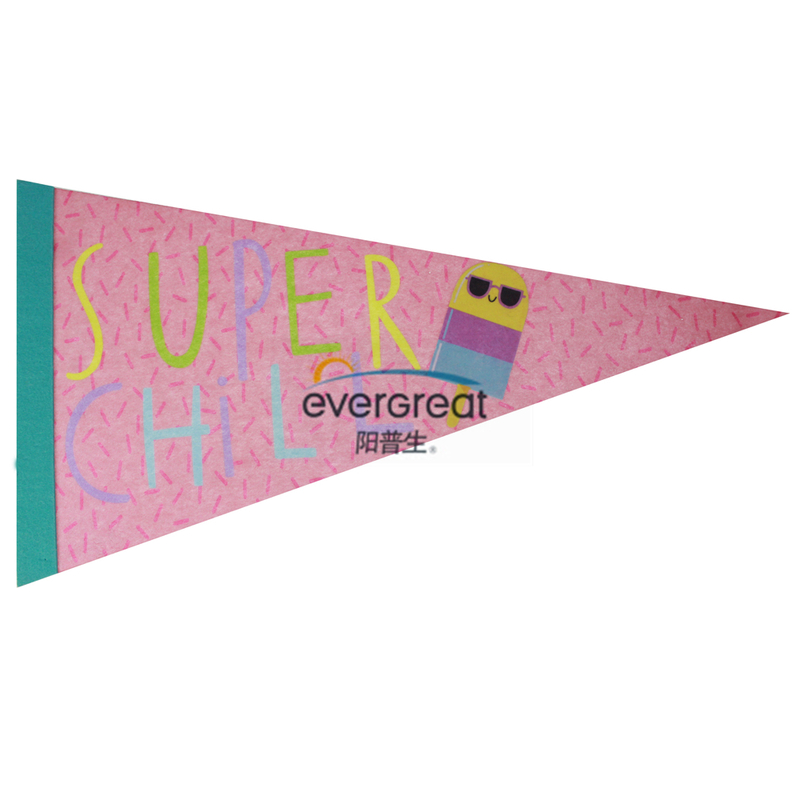 Choose from a selection of inspirational felt pennants with a touch of quirky fun. They can be in various colors and sizes. Customized is acceptable. Looking for ideal Dye Sublimation Felt Flag Manufacturer & supplier ? We have a wide selection at great prices to help you get creative. All the Felt Advertising Flag are quality guaranteed. We are China Origin Factory of Felt Decoration Banner. If you have any question, please feel free to contact us.